RED hit the music scene with a bang back in 2006 with the release of End of Silence. Stylistically ranging from hard rock to metal, RED featured violin and cello along with their driving drum beat and gargantuan guitar riffs. Now seven years and 3 albums later, Release The Panic hit the airwaves and download sites February 5th. Michael Barnes delivers what is undoubtedly the greatest vocal delivery of his career. Ranging from the low, raw screams found on “Damage” to the beautiful flowing vocals heard on “Hold Me Now” Barnes’ vocal talent that has never gone unnoticed and it takes the forefront on the new album. 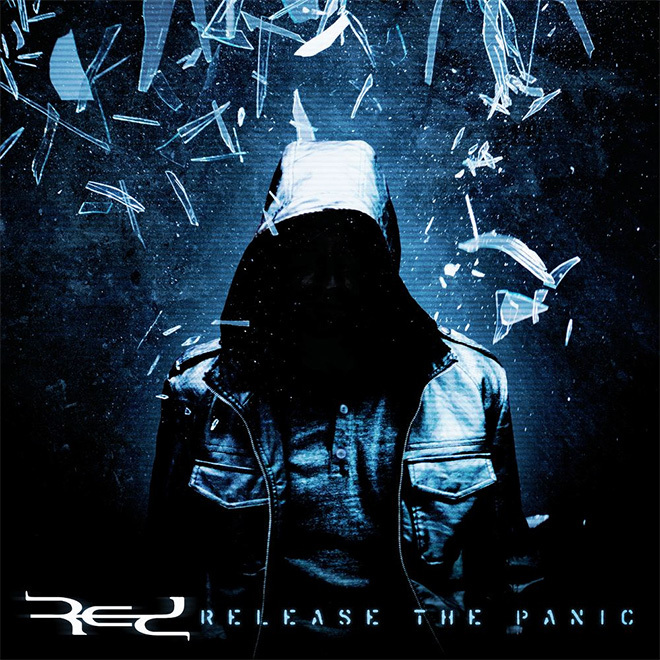 Not content to sit comfortably on their past successes, RED has brought out a varied sound with Release The Panic. Gone is the emphasis on strings to the disappointment of early RED fans. A greater emphasis has been placed on guitars and vocals. The keyboard also finds a key central place on Release The Panic. Perhaps the greatest disappointment of Release The Panic is the lack of a defining, attention grabbing single. While the new tracks are solid, none grab you like past hits such as “Breathe into Me”, “Feed the Machine”, or “Fight Inside”. RED will surely continue to hold their past fans enthralled with their latest endeavour. It remains to be seen if any newbies come into the RED fold with this album. Many of the songs seem to be headed into the bottomless pit of the “radio friendly” generic music that remains so popular with Christian music top 40. A pleasurable aspect to Release The Panic is the daring of RED to drop their tried and true approach and to create a work that is significantly different from their previous efforts. Only record sales will determine if it was a worthy change.